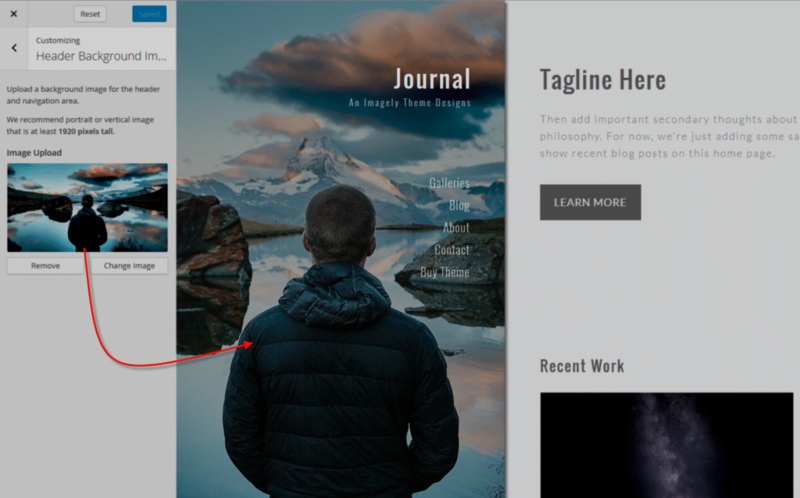 The Journal theme includes a header background image. Upload a background image for the header and navigation area. 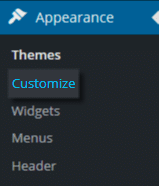 Go to Appearance > Customize > Header Background Image in your WordPress admin panel. Click Change Image and navigate to the image you would like to use for a background image. Note: We recommend portrait or vertical image that is at least 1920 pixels tall.